"Oh we do like to be beside the seaside...."
A large contingent of 'Bridge players made the journey to the South Coast on a cold clear morning to continue their legaue campaign. 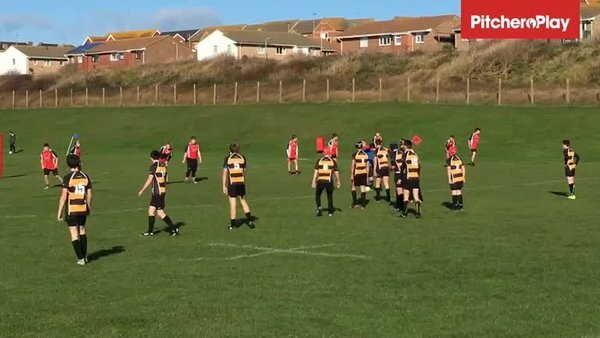 Fresh from 2 good victories they were looking to continue their winning streak against a spirited Seaford side made up of players from both Seaford and Hellingly, with some players playing up a year. Whilst the scoreline may reflect an easy win for 'bridge Seaford never gave up and played with spirit and tenacity which should have been rewarded with more than their 1 try. Their pack, in particular, stood out and gave our boys something to think about. 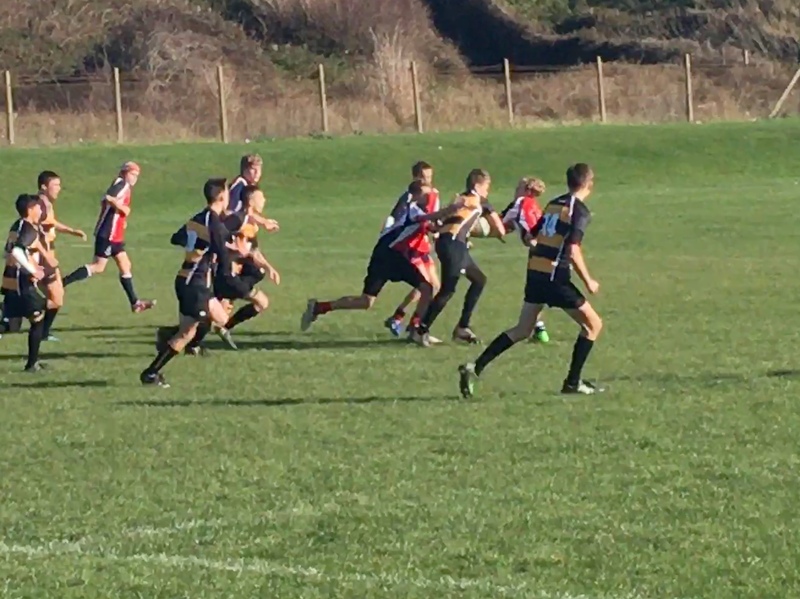 With tries from Jacob, Callum E, Arlo, Leon (3), Jack, Callum B (2), Adam, Jordan and 7 conversions from Harry it was a team performance in a tricky wind. Adam's try taken at speed bursting through the defence. It was great to see the boys thinking about their rugby and playing with intelligence and skill, and supporting each other all around the park. Thanks to Seaford for hosting and giving us a good game even though the result probably hurt a bit. Your support was great and really encouraging which is always nice to see. Your try was received with great excitement from your supporters! Next week will prove a sterner test away to Heathfield and Waldron so lots to work on in training on Tuesday night! Well Done boys keep up the good work.